On their last report, LR shares that the 70-200mm lenses that they rent out need servicing more that other lenses. And they take up 4 of the top 16 places in LR’s most serviced lenses chart. Starting with the Nikon 70-200 f/2.8 VR II @7th place with an average of 39 weeks, Sigma 70-200 f/2.8 OS @9th place, Canon’s 70-200 f/2.8 IS II @13th and Sony 70-200 f/2.8 @ 16th. Illustration based on Will Glynn photo. As with all statistics, those numbers cannot tell the whole story. The 70-200 is a workhorse lens and gets a lot of abuse. It has all the types of parts that fail more often – zoom, AF, IS, as compared to the simpler primes, which Roger also states. It is possible, though not deterministic from the numbers given, that the failer rate per minute of use is on par with other lenses. 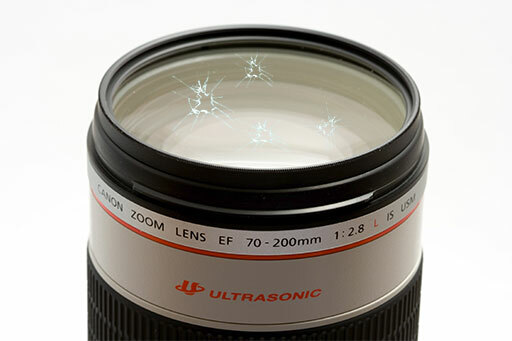 Either way, as a consumer, or even a professional, if we look after our lenses, they’ll last much longer than a rental. My nikon 70-200 is the lens I choose 90% of the time I imagine it will fail before the others, I’m only guessing the 70-200 is most popular lens rented out and therefore the one needing the most repairs..
That is a good point. Roger addressed this and since it gets hired more, they have more copies of it so the average rent time per lens is about similar. I was standing on a dock photographing a kayaker with my 16-35, and I leaned forward for a different angle. I heard a strange pop, then a thunk. I looked down, and the zipper on my waist camera bag had popped and the 70-200 fell out onto the dock. resulting in a large PLOP as the lens rolled into the Kennebecasis River. Thankfully I was close to shore and was able to quickly reach in a grab it…as I pulled it out, water was streaming out of the lens..
A quick look inside showed the interior was full of dirt and silt. I called Canon, they told me not to even bother sending it to them. I sent it to Canon to be checked over and cleaned, and it was a $500 cleaning/repair job(one part was screwed up), but all told, that was a pretty good outcome considering the cost of replacing the lens.